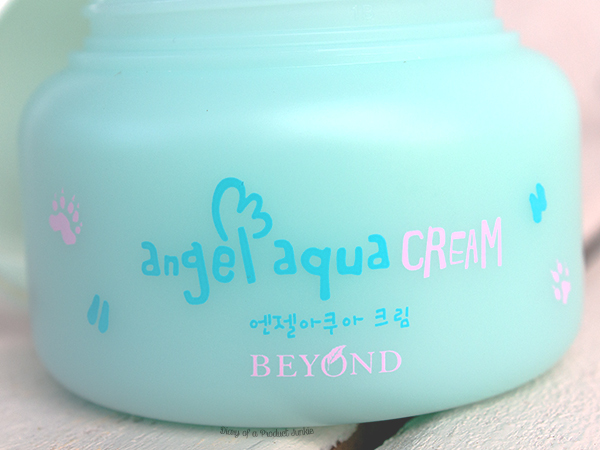 Hello, lovelies~ Remember the post I did on Beyond Angel Aqua Trial Set? You don't? 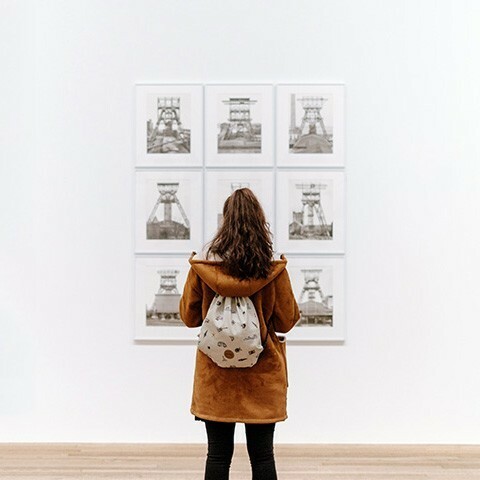 Well, no worries, you can read this post right here. 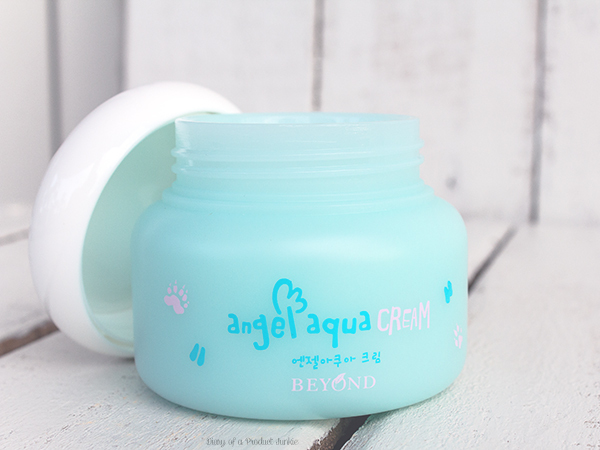 As I have mentioned in that post, I enjoyed using the Angel Aqua cream on my combination (at the moment). 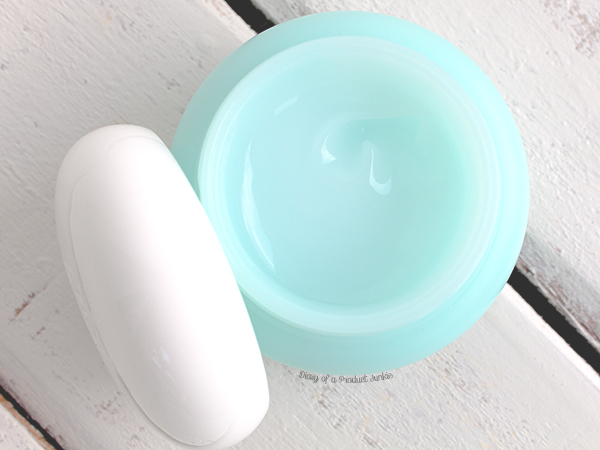 Although it is waster based, if you have a very oily skin, it would be a good idea to test it out with the trial size. I thought I would do a separate blog post on the cream because I am head over heels in love with it. Seriously. It would have been a perfect score if only it wasn't packaged in a jar. I don't like dipping my fingers into the jelly-like texture of the cream, even if I had already washed them. I prefer squeeze tubes, but that is just a personal preference. The cream is free from parabens, mineral oils, petrolatum, fragrance and ethanol. Yes! My skin thanks this list of ingredients because sometimes they add alcohol (the ethanol kind) into these types of gel-like creams to add the cooling effect. What I'm surprised to see is the Broccoli extract. It's just fun to read. It contains a blend of oils and butters, which makes it suitable to those having combination skin since it would be moisturizing to the dry areas. I wouldn't recommend it for those with oily to very oily skin (according to the Baumann system) because the Shea butter may be too moisturizing. Squalene is present for added moisturizing properties although I am intrigued to find out if it is from fish, what with it being against animal testing and all. Despite it being called a cream, its texture is lighter than one that it resembles a jelly appearance. It has a light blue tint that is almost transparent. There is a slight scent, but not overpowering at all to me. It spreads easily on my skin and heavily reminds me of Laneige's Water Sleeping Pack, but this is slightly thicker in consistency. This cream is definitely on my repurchase list should this one run out. I just wished that it comes in a squeeze tube rather than a jar. The ingredients are good combinations of moisturizing ingredients without any stickiness or greasiness. Love it.